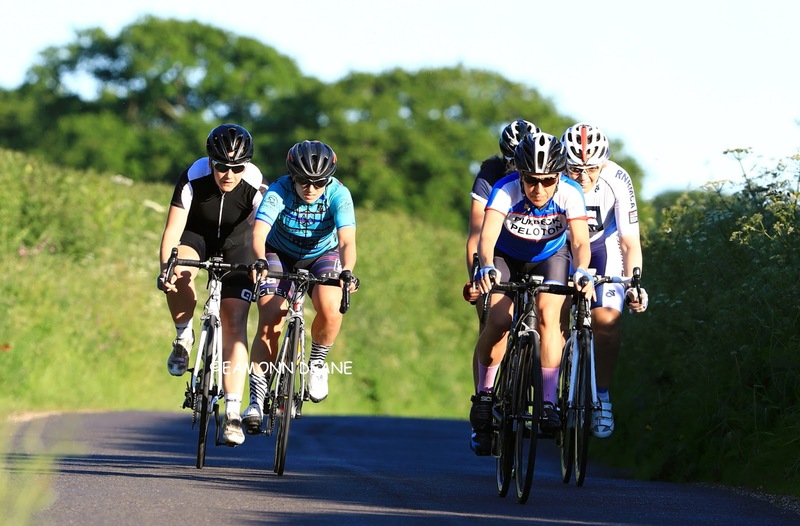 Local Riders,Local Races: Moreton, Why so few Women Race There! "The trouble with Moreton. Why so few women racing there? Moreton is a TLI Race, no BC points up for grabs; the serious racer wants to win points to progress, Moreton/TLI has no progression at all. Women are all the same at Moreton, Categories mean nothing at all there, unlike the men's race, which has several groups started at different times, to give the slower riders a genuine chance of being in the final sprint, the women are all started together so the slower female riders are out of it before the end of the first lap. The rest of the race they spend as a mobile chicane, just getting in the way of the men's race- why would anyone want to do that more than once? If the men's race was run the same way 90% of them wouldn't race again either. Running the women's and men's races at the same time at Moreton is a problem. The first two races this year were ruined for all but a few of the women because right at the crucial moment a men's group caught the women in the last few hundred yards of the women's race , the sprints were disastrous, the results didn't reflect the race at all because several women who could've won were boxed in by a passing men's group. A total waste of effort. My race yesterday was ruined in a similar way; lap 2 just after turn 1, a horse and cart on the circuit with only a narrow passage to get by, I was lagging by an easily recoverable 5 yards when a men's group caught up just as the women reached the horse and cart, most got through, I got boxed in by the guys and had to wait out for a slot to get passed the horse and cart , by the time I was back on it my deficit was 250 yards, there's no way back from there on your own. Parts of the road surface on the Moreton circuit are third world, pot holes, gravel, broken edges- not pretty. Lastly , Moreton is car journey from everywhere. Taking into account all of the above, travelling anything more than a few miles to race at Moreton is not an investment worth making." PS " IShould add that I travel from Dorchester to Bath and pay 3x the entry fee to race in BC races there and because of the Cat handicapped start, have scored a few points... that's an incentive to go back again and again"
To give a bit of background first.. Moreton is run by myself (Richard Lang) and Steve Dring, along with timekeeper Gerry and a number of regular marshals. We took it over the running of it from previous organiser Pete 6 years ago. We are not a company or organisation, but two regular racers who didn't want to see the series disappear. So basically, we run it on behalf of the other riders and are all volunteers. 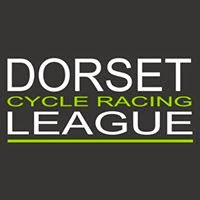 We previously recognized that women’s cycle racing was a growing sport nationally, and we wanted to do our bit to give Dorset based lady riders an opportunity to race on the road. However, we also recognized that Moreton was a very male dominated race, with primarily a single lady who has turned up every week to race over the last few years (Carol!). So, for the previous 2 years we put on a small number of women only races, which were held before the open race, to allow ladies to race in as much a non-intimidating as possible. However, due to the amount of daylight, we had to put these races on quite early, which resulted in a number of ladies not being able to get there in time. At the end of last year, we had our usual slight die-off in numbers for the open race. So we asked the regular lady racers if they would like to do a 30 minute race, run at the same time as the open race and we were met with enthusiasm. It worked out really well and as a result we have done this for all races this year, to provide ladies with a greater number of opportunities to race. We try to time it so that the finish is in clear air, but as you have seen this is a very difficult thing to achieve. For example, the first week the ladies raced at around 23mph and had a clear finish, but last week their race was a lot slower and ended up getting mixed up with the green group a bit at the finish. As for the horse and cart, well these things sometimes happen when racing on a public road. Its part of challenge! In the initial races, we did run 2 groups in the women only races, but when the numbers are low (5) this doesn't make sense and we have had feedback that a single group is preferable when this is the case. Also, the Open race is open to ladies, so any looking to progress are more than welcome to join in there. I know that last year a strong lady racer chose to do this. We do appreciate your honesty, but would probably would find it more constructive to give it to us in person and even make some suggestions on improving things. We get a lot of "honesty" but not much help, unfortunately. I'd just like to say without Richard,Steve and all the volunteers there wouldn't be any Moreton Racing at all. I know I a man but as Richard has said they have done what they can to put on a woman's race and helpful advice would probably be much productive. 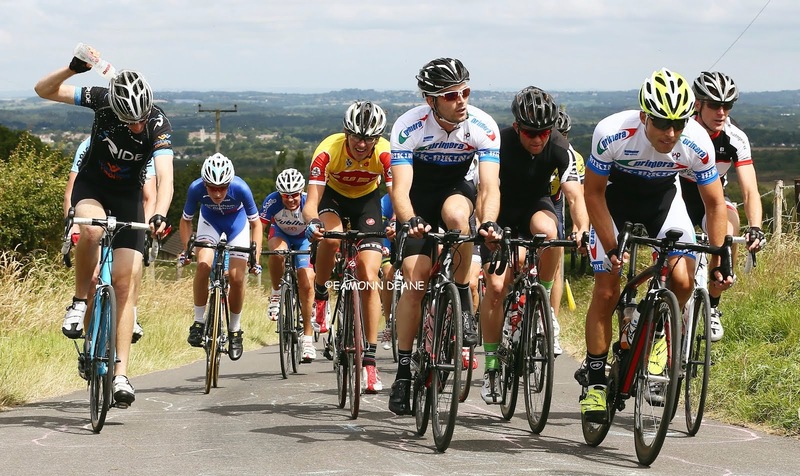 I think riders have to be very cautious about criticising race organisers, especially if they (the riders) take no part in race organisation themselves, as they will have little idea about the difficulties of promoting events. As is the case here, you have organisers obviously running the events for the love of the sport, with little reward and (probably) little thanks, I'd imagine it wouldn't take much for them to say "why bother?". If riders aren't happy with existing events the best way forward is for them to offer organisers practical help, or perhaps promote their own event with the benefit of the insights they have from the saddle. Thanks for your comment Julian – beautiful irony. Nothing in the original post is an any way a criticism of the organisers; Richard, Steve, Gerry and the other volunteers do a brilliant job, I love those guys, they know that. This is about why very few women race at Moreton. My original post is a combination of incontrovertible facts, a little of my opinion and shared personal experience, having raced there a number of times. 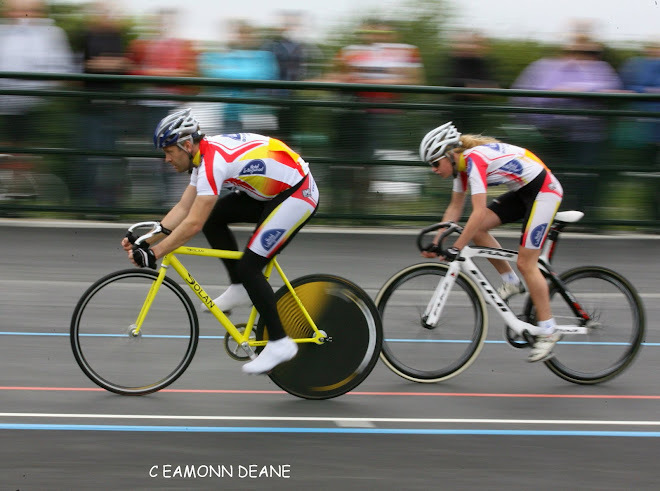 Before you can fix something, you need to know what the problem is, my post identifies what I think the reasons are why few women race at Moreton. That's all it does. In spite of those problems I do race at Moreton but this isn't about old people like you and me Julian, this is about getting young women into racing and to keep them coming back week after week. Many of the problems at Moreton are immovable objects, they're insurmountable due to the location, the timescales and available daylight. There's very little that can be done to improve the women's experience at Moreton but that doesn't mean we shouldn't do what we can. Young women need an end to end racing experience with other riders of a similar ability so they can learn race-craft and develop their skills as they progress. Wheel sucking much faster riders until their lungs burst and they drop off the back doesn't teach them anything other than...” I'm not good enough” As soon as that thought occurs, you've lost them, and at that point they do exactly what you helpfully suggest, they say nothing and they go away.